And, we’ve successfully served up a bunch of client BS for decades. Yup … BS (which also stands for “Bankable Solutions” and “Brilliant Sense”) is our stock in trade. Because without a well-considered, brand strategy, businesses like yours risk going in the wrong direction and spending a lot, just to make painful, sales and marketing mistakes. But, not ROI clients. They know we don’t garbage up what needs to happen with off-target ideas that burn money and don’t deliver measured success. Our top thinkers (read: “experienced” and “smart”) will drill into your marketplace situation, your business goals and how well you do or don’t communicate with consistency and effectiveness to arrive at a branding pathway that’s authentic, doable, credible and profitable. So, bulldoze that other BS and check us out. We think you’ll be Beyond Satisfied. Founded in 1996, Return on Investment, Inc. (ROI) is perennially posted in the Washington Business Journal’s Book of Lists among Greater Washington, DC top 20 agencies. We annually create, plan, negotiate, purchase and steward many millions of clients’ online and traditional media dollars in local, regional and national, traditional and online media arenas. ROI is the measure of what is gained from the dollars invested. ROI’s commitment is to delivering measurable, marketing and sales promotion success meeting and exceeding client expectations. We also “think ROI” in the context of the proactive, collegial, marketing partnerships we establish and grow with our clients; some, like the Ourisman family of Virginia automotive dealerships, have been with us since we opened in 1996. We bring our account, creative, media and production teams together with yours, and the result is better communications, relationships and mutual respect to support and promote program success. The bottom line? Many marketing agencies name themselves after their founders and partners. We named ours "ROI" to reflect and respect what our clients expect from their investments in marketing communications and in us. What’s the true measure of an agency’s performance? Some may start by telling you how many awards they've won. Sounds like BS to us! Sure, awards are nice. But, truly great creative is work that successfully rings the client’s register. For us, great creative delivers against its marketing and sales goals, helping clients capture the eyeballs, earballs, imaginations and proactive engagement that sell the merchandise, services and/or positions they offer. If that rings true, probably the best way to measure how well we do what we do is to look at the clients we’ve worked for, work for now and for how long. Because, no client keeps an agency that doesn’t deliver. We do! ROI’s client relationships last an average of more than seven years; two clients have been with us since the day we opened our doors in 1996 and several more have been with us more than a decade. That’s certainly one way to measure how well we do what we do — by the companies we keep. The result was a show-stopping piece that highlighted the many superb aspects of the building and its offering. Leased up before it even was half-finished, 2200 Pennsylvania Avenue still boasts the logo created by ROI and the first tenant to sign a lease: ROI client Danaher Corporation. Termed, “the perfect business environment, by design,” Annapolis Junction business park is a superb business campus in a tree-lined setting with convenient access to the adjacent National Security Administration (NSA) and Ft. Meade. Leasing targeted tenants working closely with the government and the armed forces. Boston Properties required ROI to devise a versatile leasing brochure that could, overall, highlight and promote the development’s many attributes combining contemporary workspace, green spaces and access to federal government and military clients, while also offering customizable, tabbed inserts focused on one or more vertical areas of interest, from floor plans to commuting options. The leasing packet ROI produced helped Boston Properties to fully lease Annapolis Junction, while also helping garner three design awards for the client and the agency. Rockville, the county seat of affluent Montgomery County, MD, is one of America’s great, small cities. So say an impressive array of media, such as USA Today, Forbes and Bloomberg Business Week. So says research showing Rockville residents’ high levels of education, income and home values ranking near the top among peer, mid-market cities across the country. Rockville retained ROI and our partner, The Riddle Company, to develop a comprehensive, community brand strategy, one highlighting the City’s diverse appeal and benefits for residents, established businesses, visitors and new business economic development. After eight months of an intensive, “deep dive” brand analysis (that included primary and secondary, demo- and psychographic research and analysis; stakeholder meetings with Rockville’s elected and business leaders; development of a comprehensive, strategic positioning and brand platform document and creative concept development), the mayor and city council approved Rockville’s new, “Get Into It” branding campaign. “Get Into It” expresses a welcoming invitation to explore, enjoy and appreciate all that Rockville offers for work, play and life. The theme line, the iconic, graphically distinctive “R” and the comprehensive style guide ROI developed ensure signature brand imagery and messaging continuity across all of Rockville’s official communications. For evidence, one need only look to the City’s website (www.rockvillemd.gov); to graphics on the City’s Cable Channel 11; to official City publications, Parks & Recreation Department uniforms, signage and more … all part of a cohesive, contemporary, lively, branded presentation inviting one and all to check out Rockville and … “Get Into It”! Headquartered in Tysons Corner, VA with additional locations in Rockville, Maryland and downtown DC, Mervis Diamond Importers (MDI) has been the region’s preeminent diamond retailer for more than a quarter-century. 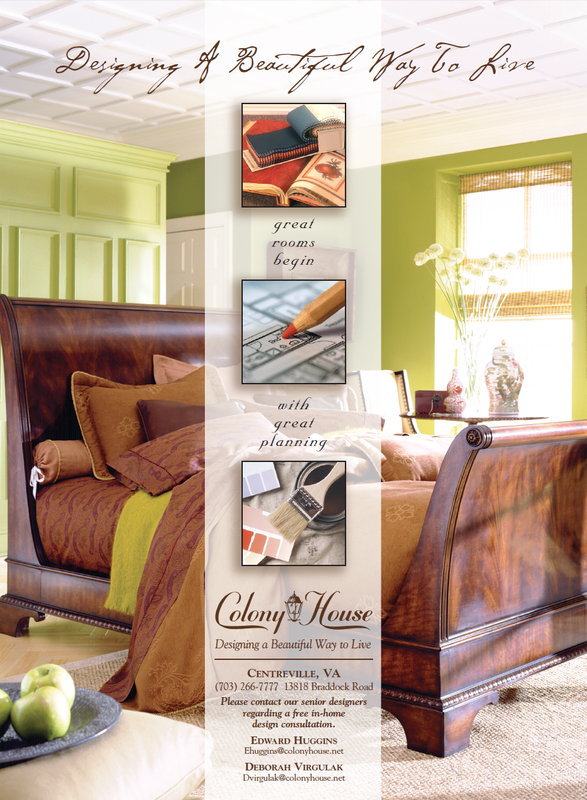 Mervis also markets directly to potential clients in Baltimore, Frederick, Richmond and Fredericksburg. Mervis specializes exclusively in diamonds, and drives new and repeat business by focusing on delivering the highest levels of customer service and customer education and saturation-level advertising in key, mass media. ROI has been Mervis’ agency of record since 2002. Mervis’ primary target audience is adults 25-54, with an emphasis on "engagement motivated" men 25-34, in the Washington DC metro area. This group accounts for some 80% of Mervis’ annual business. Mervis also markets aggressively in Baltimore, Frederick, Richmond, Charlottesville and Fredericksburg. Both segments are addressed by emphasizing and increasing an already established, marketplace brand awareness with higher media frequency and more efficient media targeting in this very competitive retail environment. ROI was given a budget that was to focus primarily on radio advertising in three major markets (DC, Baltimore, Richmond) and three sub-markets (Frederick, Charlottesville, Fredericksburg), with a goal of increasing Mervis’ business by 25% within the next two years. That meant we needed to analyze how the business was generated by market and where new business potential lay, then redistribute the media spend appropriately to get the maximum ROI in revenue. Another objective was to develop a minimum of 15% in added-value media bonus weight and bonus promotions each year to enhance the initial MDI annual media spend. In ROI’s first year with Mervis, by tracking and analyzing DMA sales from the previous year, we were able to focus Mervis’ media spend more proportionately and more effectively in markets that produced the highest dollar revenues. ROI also reduced the weaker markets’ media profiles without reducing Mervis’ visibility and sales productivity, by concentrating media buys in those markets on fewer stations that proved most dominant and efficient against the target audiences. Each successive year to date, ROI has continued to revise and refine the Mervis media budget and strategy through market research, strategic analysis of media productivity reports and sales tracking. In this way, ROI has maintained Mervis Diamond Importer’s dominance in market share of voice. Each year, ROI has also exceeded its 15% Mervis added-value objectives, attaining between 20% to 25% promotional commitments, including multiple weeks of bonus airtime. During our first year with Mervis, the company enjoyed a sharp increase over the previous year’s sales (double digit percent increase) and well beyond “reach “ goals, without spending more annually than in the previous three years. In our second and third years, Mervis continued to enjoy significant sales increases. Mervis also spends sales promotion dollars in the digital space and continues to grow their presence within that medium. However, Mervis still consistently focuses their marketing budget primarily in one medium — radio — and by continuing to do so, Ronnie Mervis has successfully branded himself and Mervis Diamond Importers as the most visible, most dominant and most successful diamond retailer in the region. The NFL is one of America’s premier, professional sports leagues. 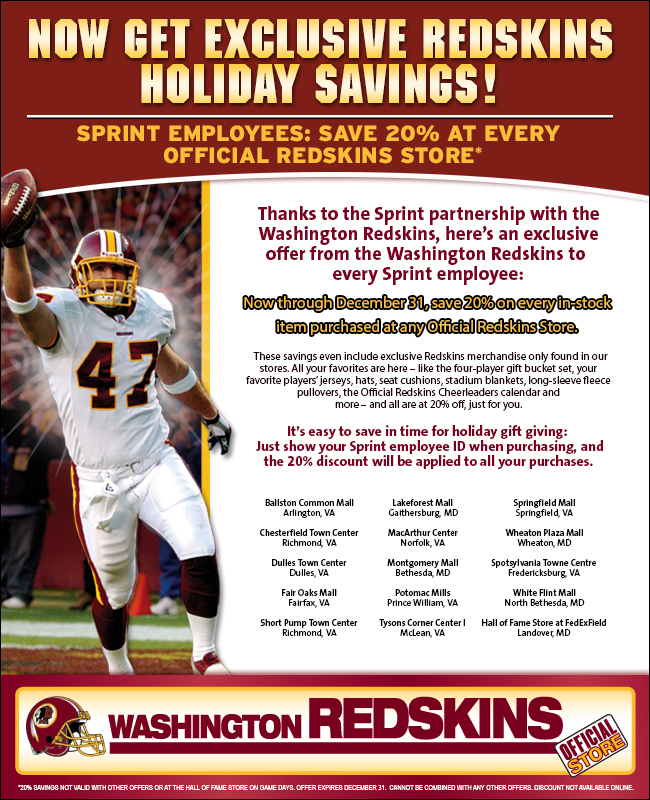 While ROI was the Washington Redskins’ direct marketing agency, the NFL retained us to create, produce and deploy branded media for the launch and rollout of its new, “Extra Points™ Visa® rewards credit card. Fans using the Extra Points™ card acquire points for every dollar spent. Points then are redeemed for NFL- and team- related experiences and team merchandise. ROI’s mission was to create a comprehensive, “promotion in a box” for marketing Extra Points™; providing each NFL team with easily customizable, on- and offline media for use in promoting Extra Points™ card sign-ups in their home markets. ROI responded with the award-winning, Extra Points™ Toolkit, featuring branded-yet-customizable (by team), digital and print-ready materials needed to excite, educate and sell prospects on the program and the card. All media creative was provided with simple instructions and digital art files for all jobs, enabling quick, hassle-free production of advertising materials. Per ROI’s client at the NFL, Erica Klair, the Extra Points™ card program launch was a “huge success.” In the program’s first six months, more than 100,000 new, Extra Points™ cardholders were acquired by the individual teams and the NFL. Originally the credit union only for employees of the Central Intelligence Agency, NWFCU was “freed “ to solicit new members from the community at large. 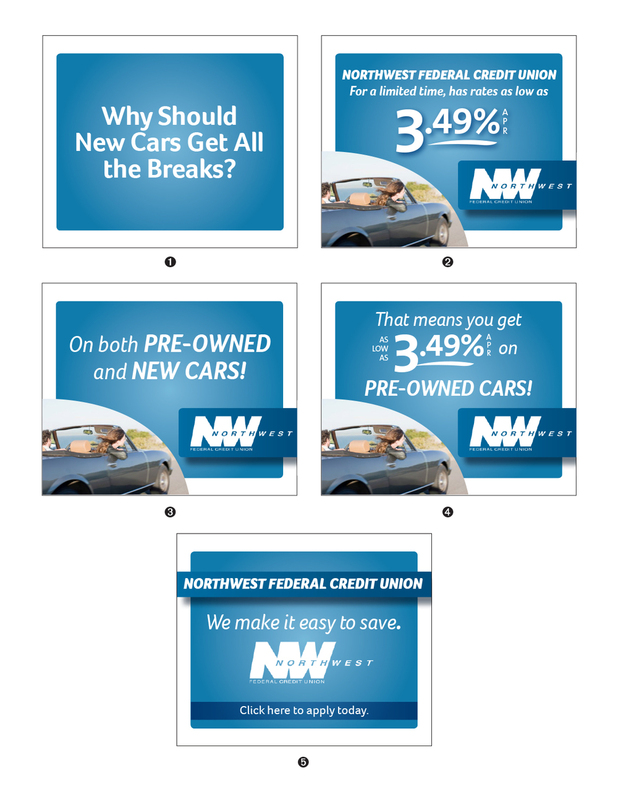 ROI was hired to develop and implement a brand marketing and sales promotion campaign aimed at driving up new memberships on a broader scale, by branding NWFCU as a community-centric and responsive, financial institution offering individualized attention and highly competitive, loan rates across a range of loan products — auto, new home/refinancing, personal and small business. A new branding campaign starring Northwest Federal’s signature, “voice of reason,” paired with an annual media mix including radio and/or local spot TV/cable as primary sources, supported by outdoor (buses/metro), digital display ads (WTOP.com; WashPost.com; Pandora) and direct mail proved to be a huge success. Creative messaging combined a specific loan offer or new member acquisition promotion with engaging lifestyle, sometimes humorous, executions. Most loan promotions either met or exceeded sales goals by a measured range of 10%-15%. 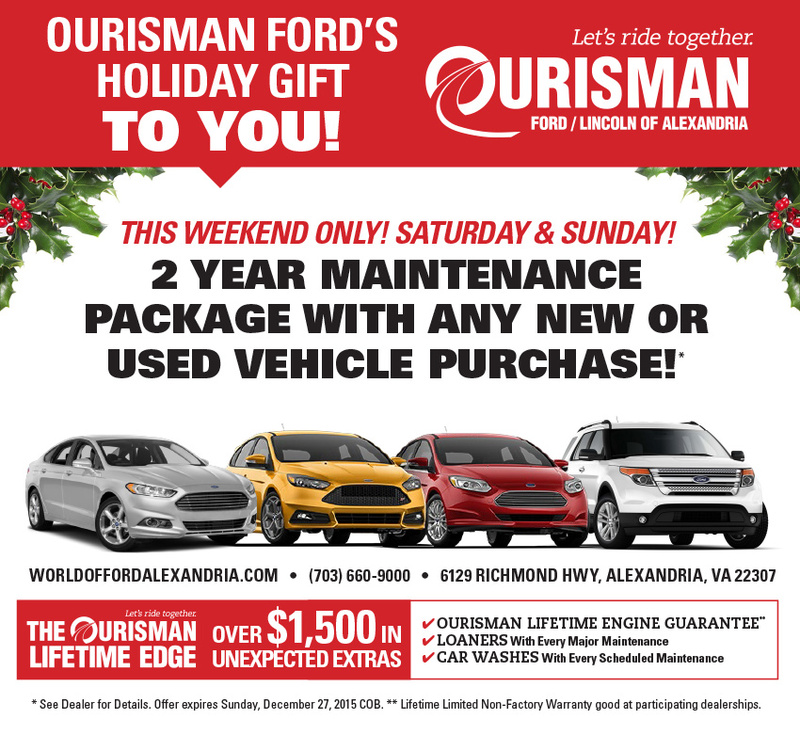 Headquartered in Northern, VA, the Virginia branch of the Ourisman Automotive organization is comprised of six dealerships — two Toyota dealerships, Ford Lincoln, Chrysler Jeep Dodge, Chevrolet Buick GMC and KIA. ROI has been the group’s agency of record since 1988. All the domestic brands — Adults 25-64, within a 20-mile radius of each dealership, specifically targeting those customers who historically prefer purchasing domestic cars and trucks. Import brands Toyota and KIA — Adults 25-49, within a 20-mile radius of each dealership, specifically targeting those customers who have preferred purchasing import cars and trucks. ROI was retained to provide comprehensive strategic planning, marketing, media and account management services to create a differentiated, signature Ourisman (VA) look to the consumer advertising. 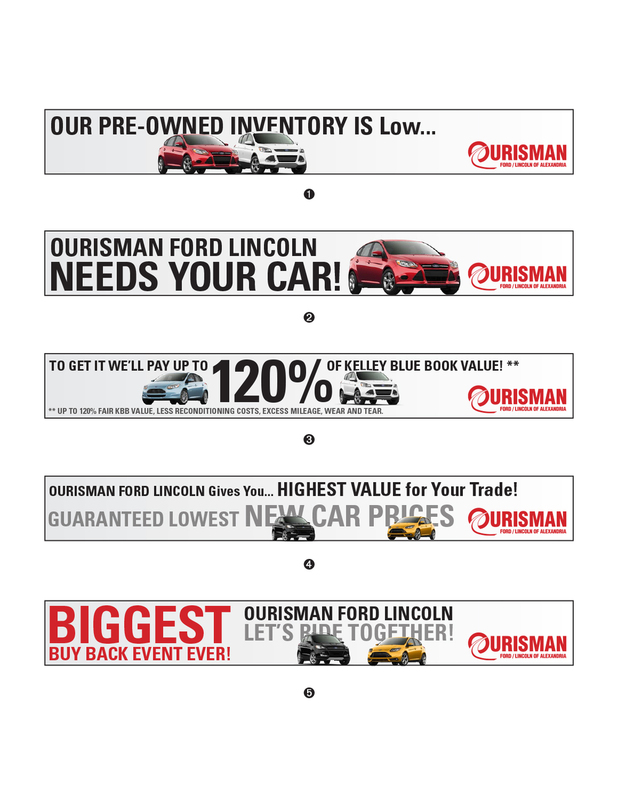 The advertising had to have an overall Ourisman VA brand consistency across all its dealership marketing programs, yet still had to allow each dealership to maintain its own distinctive identity. Since it is the responsibility of the national automotive manufacturers to sell the actual product lines, ROI’s mission was, and remains, to focus on driving awareness, branding of — and traffic to — the dealership’s themselves and the unique or special customer benefits and services they provide at the time of, and after the purchase of, a new or used vehicle. ROI continues to develop various branded TV campaigns focusing on credibility-based sell messages for each dealership. In each spot, the principal spokespersons were identifiable management representatives discussing the benefits of their dealership in an honest, no-nonsense, “non-screaming” approach. Some were even done in distinctive, non-traditional locations (Toyota, in the Tastee 29 Diner), to visually and distinctively brand the dealership and its message. Others incorporated subtle humor or visual effects to deliver the Ourisman brand message. This was supported by radio, print and direct mail advertising that mirrored the look and core messages of the TV campaigns. 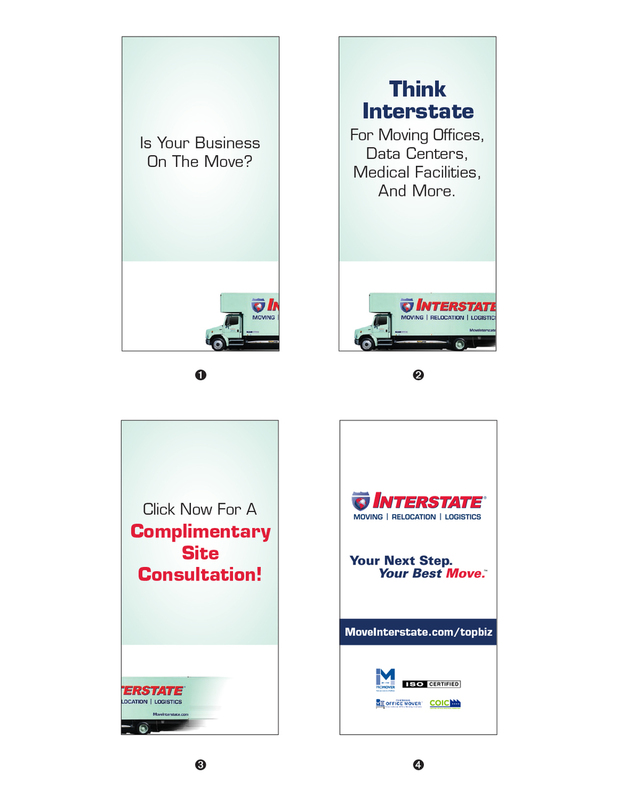 Each dealership program runs consistently two to three weeks each month, throughout the year. Ourisman has continued to experience annual, total units sales growth at a minimum of 8%-12% per year. They have also consistently grown their market share to over 15% in one of the most competitive automotive markets in the nation. CommonWealth One Federal Credit Union (COFCU) was chartered in 1944 as Army Air Force Annex #1 Credit Union, launching with 94 members and an all-volunteer staff. Today COFCU is a full-service financial institution with more than 32,600 members, $320 million-plus in assets and branches across Northern Virginia, Washington, DC and Harrisonburg, VA.
ROI first started working with COFCU and its CMO, Karyle Thornton, in December 2016. (We previously worked for eight years with Ms. Thornton at another credit union, and successfully supported that company’s efforts in building membership and revenue growth by developing various creative branding and strategic media campaigns). COFCU’s sales and marketing mission was similar in that they were looking to grow branded, marketplace awareness, membership and loan revenue, specifically in credit card transfers, auto loans and home loans. Ms. Thornton assigned ROI to develop, roll out and steward a similar program for 2017. ROI responded with a multimedia creative and media program leveraging a tightly demo- and geo-targeted, social media marketing campaign (Facebook, Google Adwords, pay-per-click and retargeting). And, we married social media with a very demo-targeted, signature radio campaign to concurrently run with and support the online program, by expanding COFCU’s target audience mass reach and brand recognition in the Greater Washington, DC and Southern Virginia marketplaces. We did so, because ROI previously delivered success to other clients with similar, direct response, lead generation marketing campaigns combining these specific, offline and online media. Additionally, we felt strongly that this combination would work well with a COFCU monthly budget that was somewhat limited, yet was effective enough to still generate measured impact and success. Per COFCU, starting in January 2017 and continuing for the past eight months, COFCU’s new campaign has delivered a measured, 15% increase in loan volume and significant member growth. Social and online keyword search media, along with demo-targeted broad reach radio advertising are now accounting for 12% of COFCU’s new member acquisitions. Brooklyn Brewery wanted to engage customers by incorporating a Text-2-Win contest into on premise POS used in bars and restaurants. 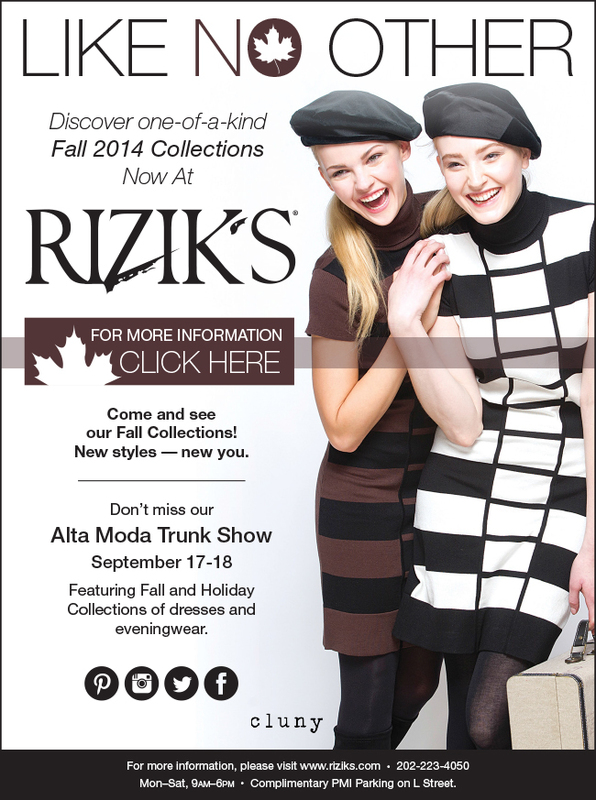 Participants could opt in by quickly texting a keyword to a mobile short code entering them into the contest. Fans could also opt in for future contests and communications via text message marketing. ApolloBravo handled consultation on campaign copy, contest rules, winner selection and affidavits. Miller Lite pumped up Bears fans promoting an innovative party deck promotion at Soldier Field. Bears fans can text for invites to the Miller Lite Party Deck. Contest was promoted via score board messaging. Winners received a message with a unique ID and were invited to the VIP party deck experience. Other winners received a mobile coupon for six free wings at Buffalo Wild Wings. Participants could follow a web link to opt in for future promotions at nearby restaurants and bars as well as Party Deck invites to future games. ApolloBravo handled campaign copy, mobile web integration, text to win sweepstakes and random winner selections. This multi-dimensional program allowed consumers to text “5hour” to a short code to enter to win an energy break for their entire office. It also was integrated with a Facebook promotion that drove consumers to search for 5-hour Energy® and enter to win an energy break. In addition, consumers could reply with their zip code to find the nearest locations that stock the 5-hour Energy® drink. As part of a Pepsi Max® NFL Access Super Bowl promotion, consumers could text to retrieve clues on the Pepsi Max® team locations and then wear lanyards to hopefully be spotted by the Pepsi Max® team. Winners received hundreds of prizes, including tickets to concerts and to the Maxim magazine Super Bowl party. “The team at ROI are incredible. Contact us now to discuss your current marketing missions, challenges and the ways and means by which ROI can address them successfully.